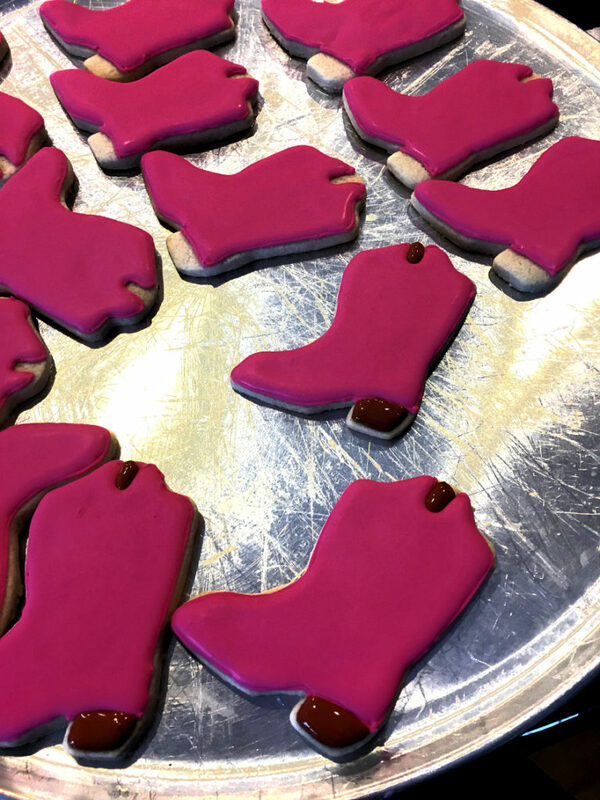 Follow these tips yo decorate cowgirl boot cookies. Happy Friday, everyone! I have been slowly learning how to decorate cookies the right way. Last fall I showed you the leaf fall cookies that I made, and I have been playing around with other designs and having so much fun with them. Little Miss loves helping me bake and decorate. Her decorating has a lot more sprinkles!!! This year Little Miss had a cowgirl themed birthday party (I will have a post about it next week). 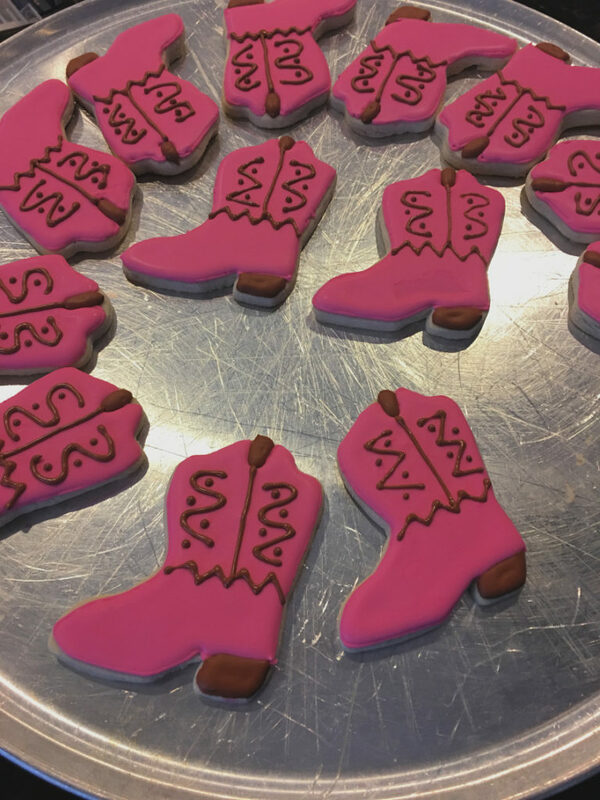 I thought it would be fun to make cowgirl boots for party favors. 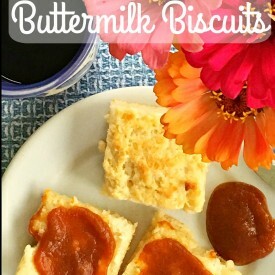 First of all, I started off using this recipe by the Bearfoot Baker. Don’t mind the iPhone photos. 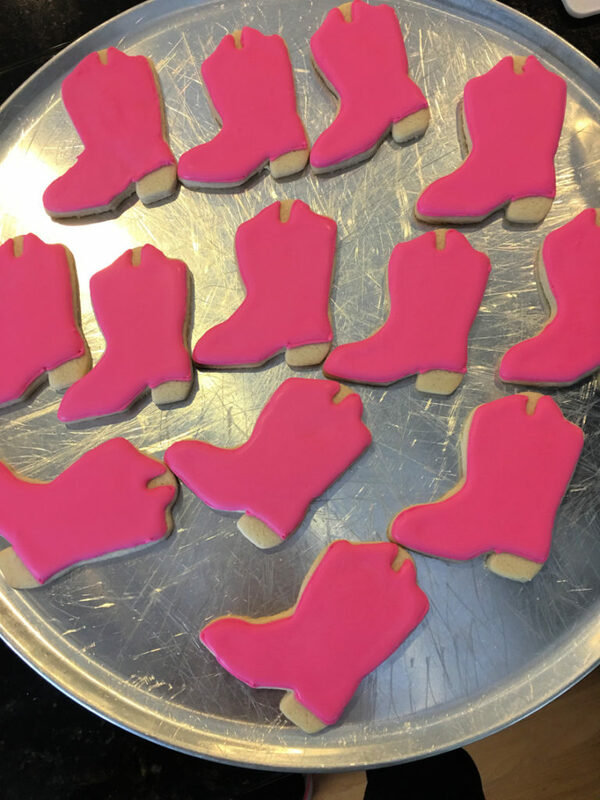 I have a box of sugar cookie cutouts and happened to have a boot! If you are looking for one, I found this one. 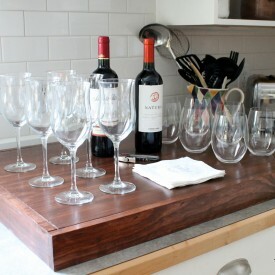 Also, a good tip is to use this to press down and flatten your cookies the moment they come out of the oven. 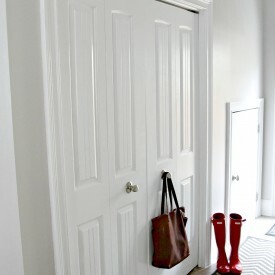 It will make decorating easier. 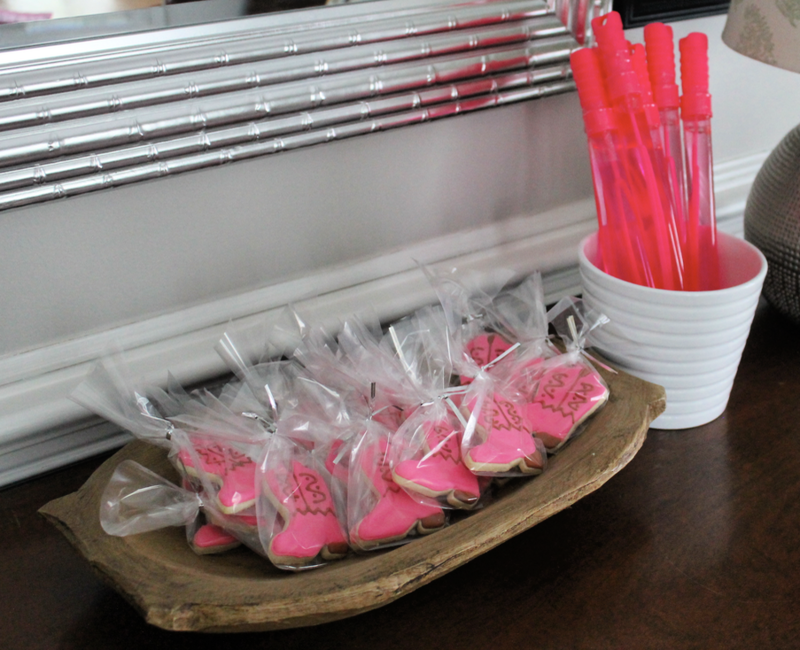 The cookies were a hot pink and very bold in the color department. Just like the way Little Miss likes them! I used royal icing to flood these cookies but left some parts blank so I could add brown. After the pink, I mixed a small about of brown icing to flood the other two small areas. I thought this added a good extra touch to the boots. 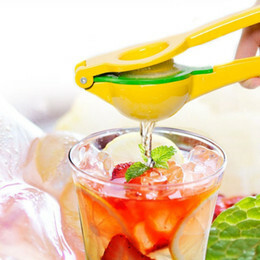 My cutter did not have a spur on the back, but if you have one that does, you can incorporate it into the decorating or cut it off. I then went back with the brown and added a little design. It wasn’t fancy, but I felt the boots needed a little something. 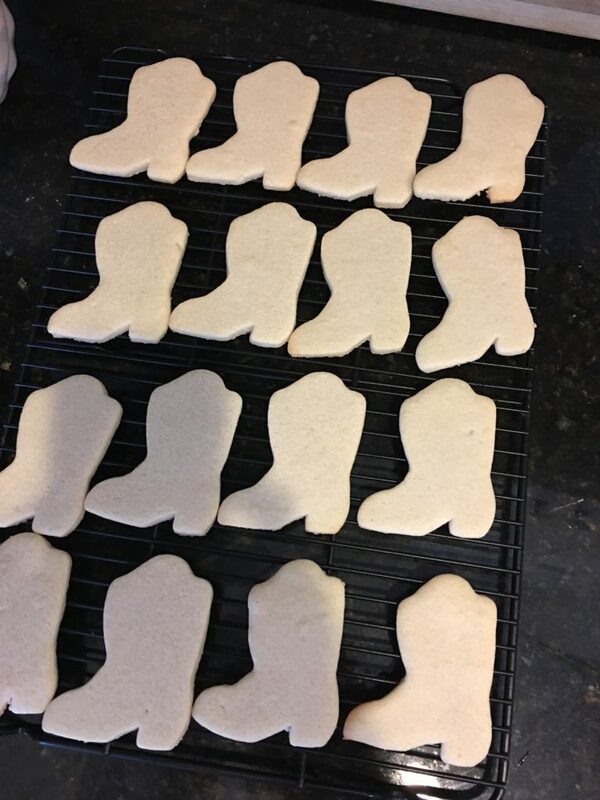 I let the cowgirl boot cookies dry overnight and packaged them up the next morning. I was really happy with how they turned out, and Little Miss loved passing them out to her friends. Have you had any interest in decorating cookies like these. It’s a lot of fun! That’s it for the week. We will be back tomorrow with our Saturday Selections. See you then. And by the way, thank you all for being loyal readers and fans of our blog. Thanks Laura! I used this half batch recipe for royal icing. It ends up being plenty of icing and I usually have some left over. 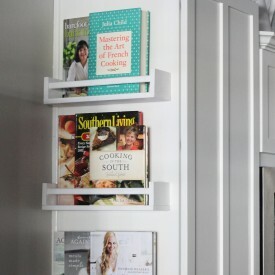 These are beautiful and a labor of love! My sweet daughter-in-law’s mother helped me make wedding cake and wedding dress cookies to put in the out-of-town guest bags for our daughter’s wedding. I had no idea how much time they took! I will say the guests were sooo impressed. I wish I had put a “homemade by the mother-of -the-bride” label on them because nobody believed we made them. That’s such a cute idea, Kathy!